I’m not sure what St. Mirren is the patron saint of but, judging by what came out of the tannoy pre-match, it certainly isn’t quality music. The strains of Showaddywaddy had barely faded into the Paisley afternoon as a strong City line-up ran out at the tidy, modern yet identikit St. Mirren Park. Whether the Buddies fans would prefer to still be Under the Moon of Love Street, their home for over one hundred years, is a debate for another time. The City line-up effectively left off where it did on Tuesday, with Phil Parkinson going for, give or take, the strongest eleven at his disposal at present. Ben Williams returned between the sticks. 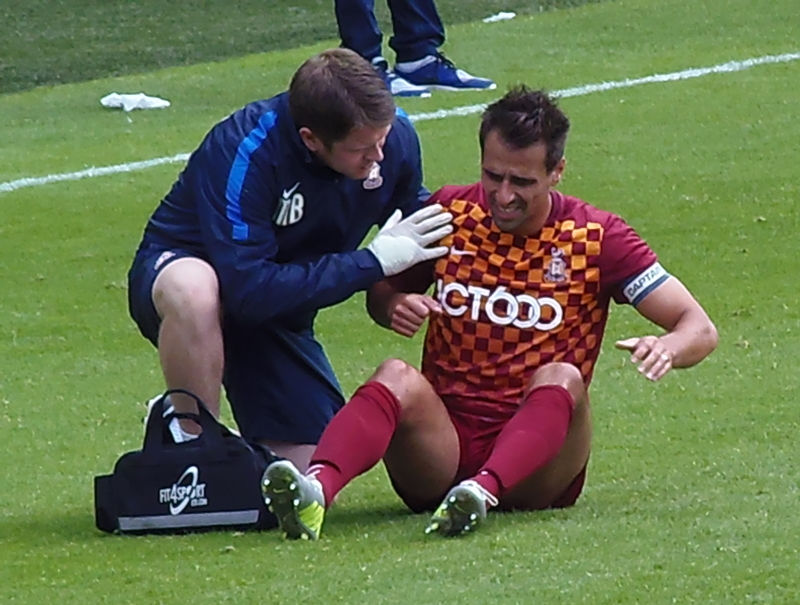 Given the slight injury to Tony McMahon, Luke Hendrie stood in at right-back, Stephen Darby still nursing an increasingly concerning stomach injury. On that subject, Luke Hendrie has impressed me in the three friendlies so far. Whilst not one to be seen as a first-choice right-back, he certainly looks worth a punt as a squad player. James Meredith took his usual position at left back (albeit fairly advanced) with Alan Sheehan and Rory McArdle lining up in the centre. A centre midfield duo of Gary Liddle and Billy Knott were complemented on the flanks by Dylan Mottley-Henry and Josh Morris. 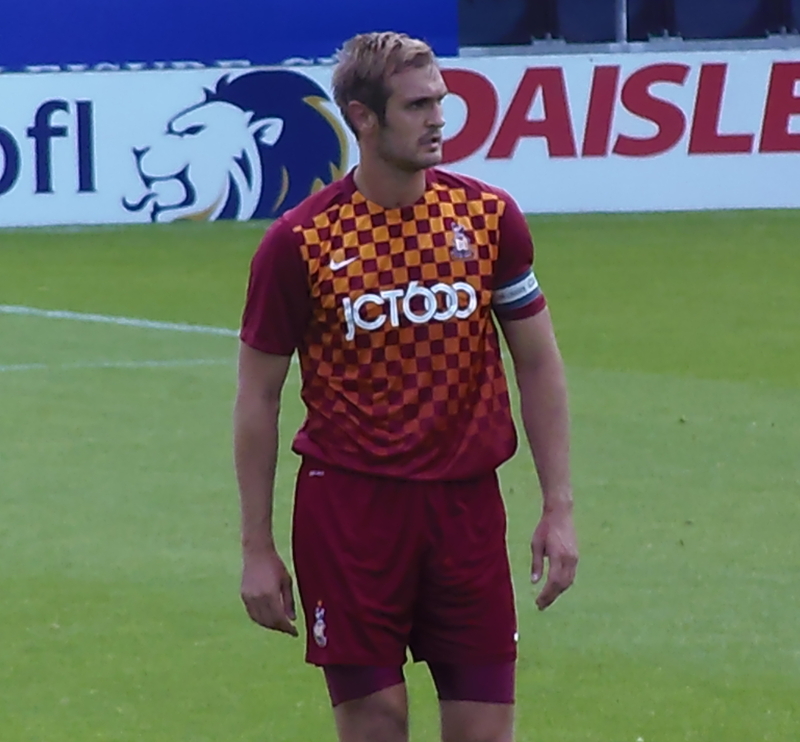 James Hanson (again captain for the day) and Billy Clarke completed the starting line-up. St. Mirren’s squad boasted a number of trialists (helpfully all listed as “Trialist” on the teamsheet), the St. Mirren players fresh from defeating Oldham Athletic in a “behind-closed-doors” friendly earlier in the week. Before I move on to the match, a word on the City support. A fantastic 304 fans were backing City, not be sniffed at for a friendly which involves a round trip of 422 miles from Bradford. Whether all of those 304 will remember the match in the morning may be another matter but – like the Ireland trips of previous seasons – these things are as much about enjoying the local hospitality as much as the football itself. Early chances fell to City. 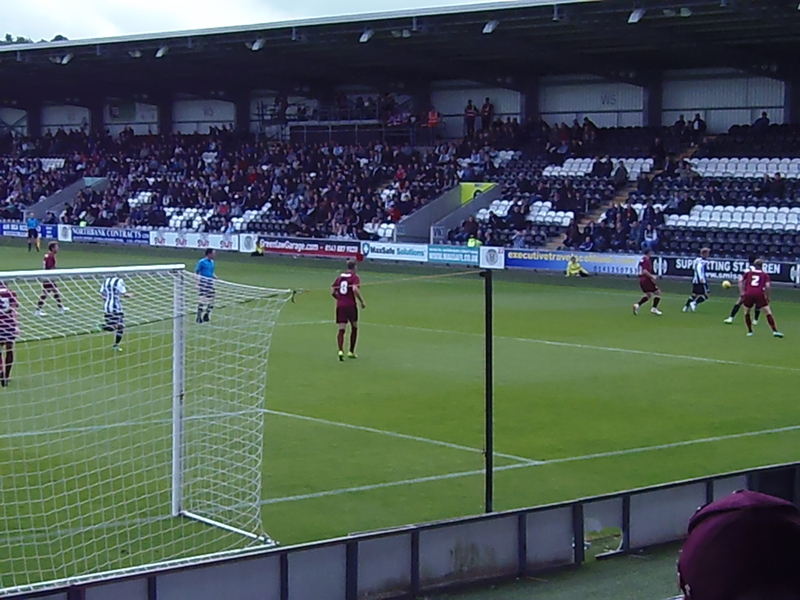 A Hendrie cross to Hanson led to an opportunity but Hanson was adjudged to have fouled a St. Mirren defender when trying to direct a header goalwards. Dylan Mottley-Henry earned a corner after a cross was headed behind, the corner (taken by Josh Morris) leading to a goalmouth clearance by St. Mirren after the ball had pinballed around the box from Hanson’s header. Alan Sheehan had to be alert to prevent St. Mirren’s first foray of note into the City half. Ben Williams was called into action soon enough, making a smart double-save to prevent Stevens Mallan and Thompson breaking the deadlock. That deadlock did not remain unbroken for long. Billy Clarke showed his skill by taking down a long pass into the box and finished well from the left hand side of the goal. City were fairly in control at this stage and threatened to make the most of such dominance. A Sheehan free-kick went narrowly over the bar and Josh Morris was denied by St. Mirren’s Jack Baird after good work from James Meredith. Billy Clarke also wasted an opportunity to add to his tally, shooting over the bar. 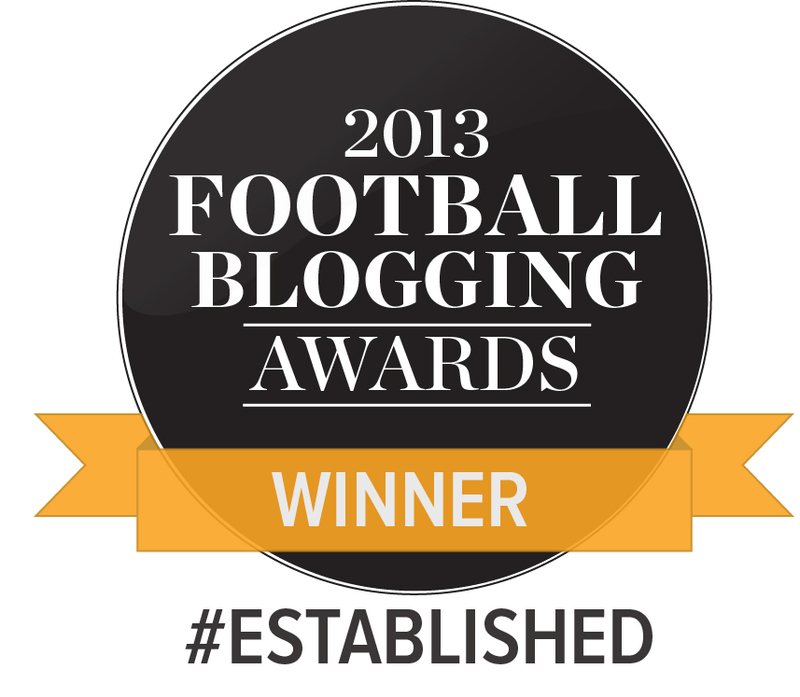 As the overly-fussy referee brought the first half to an end, the feeling was one of “so far, so good”. City had played some neat football and were unlucky not to be further ahead. Save for the aforementioned double-save, Ben Williams had not had a particularly taxing afternoon. No changes at half time, though most knew that the usual City wholesale changes were probably due around the hour mark. The only real City chance of note before that hour mark was Clarke crashing a volley against the woodwork after a Hanson knockdown. The substitutions saw Christoper Routis, Filipe Morais (taking the captain’s armband), Luke James and the debuting Mark Marshall come on, being joined by trialists Conrad Balatoni, Greg Leigh, Mark Fotheringham, and Steve Saunders. Steve Saunders was the only new trialist here, being a 24 year old defender, who has spent the last couple of seasons with Ross County (oh, the irony that we might replace Andrew Davies with a Ross County player). City took a little while to adapt to the changes. 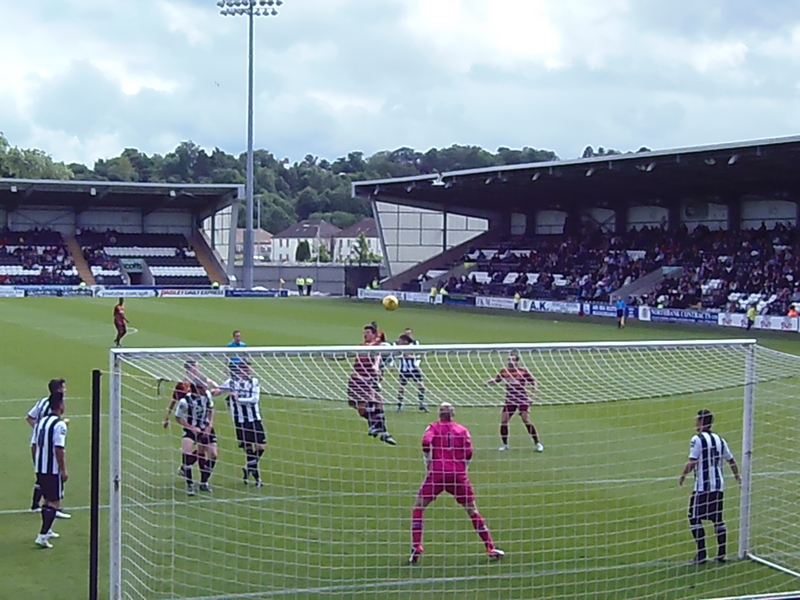 The next chance fell to Christopher Routis, whose headed effort from a corner was seen over the bar by the St. Mirren keeper. Luke James soon fashioned a chance for himself in the area, with his goalbound shot being tipped beyond the post by the keeper. There’s certainly something about James. He seems very much a confidence player – his frustration when things haven’t worked out in the friendlies so far has been plain to see, but I think if he can get himself into some sort of form, we could see a real player here. There was an injury scare for captain Morais when a collision with an opposition player left him holding his shoulder. Morais required some brief treatment but was able to carry on and nearly added a goal, fizzing shot past the post. The game could have ended with a barely deserved equaliser for St. Mirren, with a decently taken Alan Gow free-kick clipping Ben William crossbar but thankfully the match ended with another victory. So, three friendlies in. Seven goals scored, none conceded. We’re no nearer to solving the “Davies Replacement” conundrum, nor the second keeper situation, both presumably at the top of Phil Parkinson’s list of priorities. There are some trialists who may be providing some food for thought, chiefly Luke Hendrie and perhaps Greg Leigh, but these are likely to be back-up players rather than ones expected to make an immediate impact on the squad. It’s been a good start so far and I think, like last season, the solid foundations are there, it’s just whether we can attract that bit of quality that will push us up further the ladder than we ended up last season. I’m sure there will be a few twists and turns with this squad before we run out at Swindon on the opening day. Complement means to accompany. Compliment means to say something nice about something.